Our brain isn’t designed for multitasking – it seems we are biologically incapable of processing rich attention inputs and information at the same time. Multitasking very often doesn’t work, according to science, we become emotionally satisfied when we do more things at once, thus we believe that we are more productive. If you are still not convinced that multitasking isn’t efficient, another research conducted at Stanford University, showed even more disturbing results: multitasking kills one’s performance and can even damage our brain. People who are bombarded with electronic information cannot pay attention, switch from one job to another and recall information. The researchers compared two groups of people, heavy multitaskers (those that have a tendency to multitask and believe that it helps them be more productive and improve their performance) and those who like to do one thing at a time. They found out that people who multitask frequently perform worse and are slower at switching from one task to another. Why? They had trouble organizing their thoughts and filtering information. Researchers from the University of Sussex in UK compared MRI scans of the brain to the amount of the time people spend on multiple devices, such as watching TV and texting, and found out that those who multitask frequently had less brain density in the region of the brain responsible for empathy, and cognitive and emotional control (anterior cingulate cortex). It appears multitasking is physically damaging the brain, even though it was believed that cognitive impairments were temporary. “I feel that it is important to create an awareness that the way we are interacting with the devices might be changing the way we think and these changes might be occurring at the level of brain structure”, said the study’s lead author. “A study done at the University of London found that constant emailing and text-messaging reduces mental capability by an average of 10 points on an IQ test. It was five points for women, and fifteen points for men. This effect is similar to missing a night’s sleep. For men, it’s around three times more than the effect of smoking cannabis. While this fact might make an interesting dinner party topic, it’s really not that amusing that one of the most common “productivity tools” can make one as dumb as a stoner. Although more research should be done to provide more results on the negative effect of multitasking, especially on brain damage, it is clear that multitasking slows us down and impact on the quality of the work we do. It can even increase the existing difficulties one has with concentration, organization and attention. 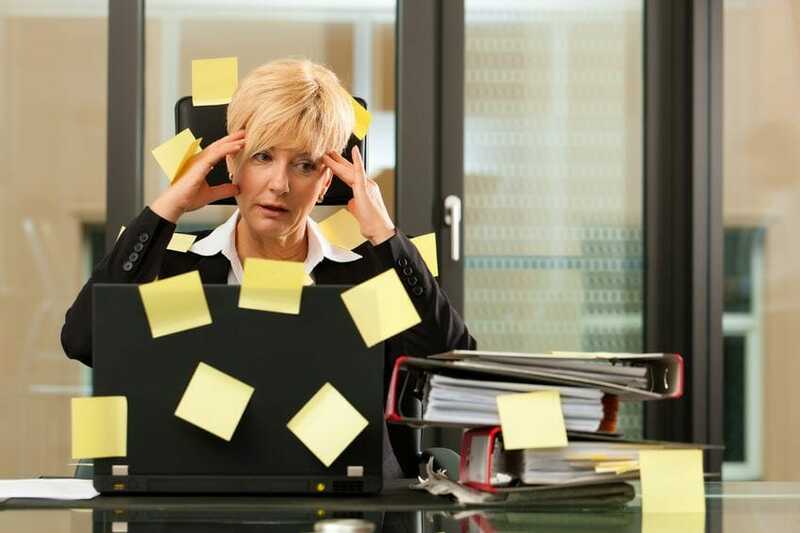 Multitasking is a habit that one should not indulge in, and if you see yourself as multitasker, you should rethink about other ways that could truly make you more productive, efficient and effective in work. What can you do to be more effective and productive? How can you work smarter, not harder? These are the answers provided by scientific researches. Napping helps us with the learning process, that it, it helps our brain to solidify memories. The research indicates that when memory is first recorded in the hippocampus, it is easily forgotten, napping pushes the memories to the neocortex, “preventing them from being overwritten”. Moreover, one research indicated that daily naps help us avoid burnout during the day (which mean inability to receive more information). Everybody has experienced benefits of nature, natural atmosphere, or any other activities in nature. One study found out that students who spend time in nature, that is, outside of a classroom, are more motivated to learn. Mind relaxes in nature helping us stay focused longer; natural environment is not filled with stimulations that capture our minds requiring additional attention. Our brain is focused only for 90 minutes, on average, then we should take a break, that is, we need a 15 minutes rest. Our body and mind need to rest, we need to have a balanced emotional, mental, spiritual and physical life, and rest is important for rejuvenating our body. Taking those breaks, we allow our mind to renew and reset our attention span. The right temperature, lighting and quiet atmosphere makes a difference to our working ability and performance. According to a study from Cornell University, temperature of 68 digresses or lower increases worker’s errors. People who work in artificial lights experience more feeling of sleepiness while artificial lights also disrupt our body’s circadian rhythms. Noise is always a problem, and researchers from Cornell University reported that there were higher levels of epinephrine in workers who were exposed to low levels of noise, which means, that workers exposed to noise, were under much stress. Writing a good to-do list doesn’t mean listing all the thing you need to do, or that comes to your mind. It is essential that you make sure you will complete the tasks written on that list. If you create a list of the things you are able to do, you will not feel disappointed or as a failure, which in turn, will bring work that is more organized, and more concentration and productivity. Are you multitasking? What is your list of things you do to be more productive and efficient at work?